Take the God Is My Source challenge! When we look to the Word of God, scripture after scripture proves that God is THE SOURCE of everything we need. 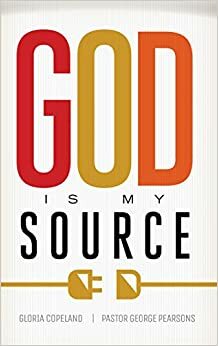 In this little book, Gloria Copeland and Pastor George Pearsons will help you renew your mind to become fully persuaded that God is your Source. Read the seventy God Is My Source scriptures every day. Read each scripture, and SAY IT out loud! Follow the WRITE IT assignments. Log every financial and provisional miracle that you receive. When you SEE IT work, it will encourage your faith.